SGX Day Traders: 2014 Apr 22--SGX Day Traders spotted Hankore a potential Reversal trade by 1140am on 22 Apr 14. 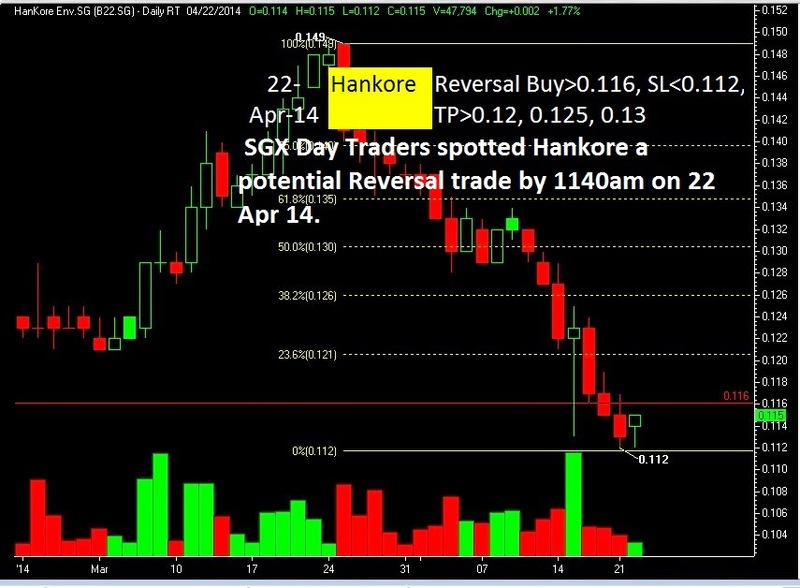 2014 Apr 22--SGX Day Traders spotted Hankore a potential Reversal trade by 1140am on 22 Apr 14. 22-Apr-14 Hankore Reversal Buy>0.116, SL<112, TP>0.12, 0.125, 0.13 SGX Day Traders spotted Hankore a potential Reversal trade by 1140am on 22 Apr 14.